It may seem impossible, but here are some notes our friends at Bored Panda shared that actually got children to do chores! 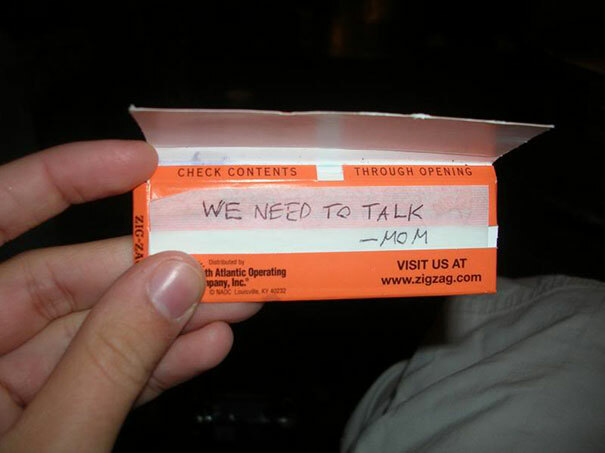 Written by some very clever mums and dads, they were left around the house to push children to do the improbably. 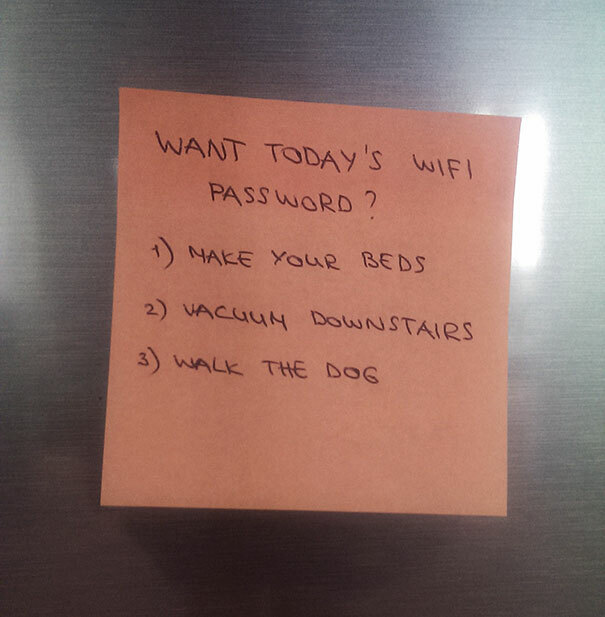 Whether it’s withholding the WiFi password in exchange for washing the dishes or pre-answering your children’s morning questions so they don’t disrupt your sleep in, we think notes may just be the next genius parenting trick. 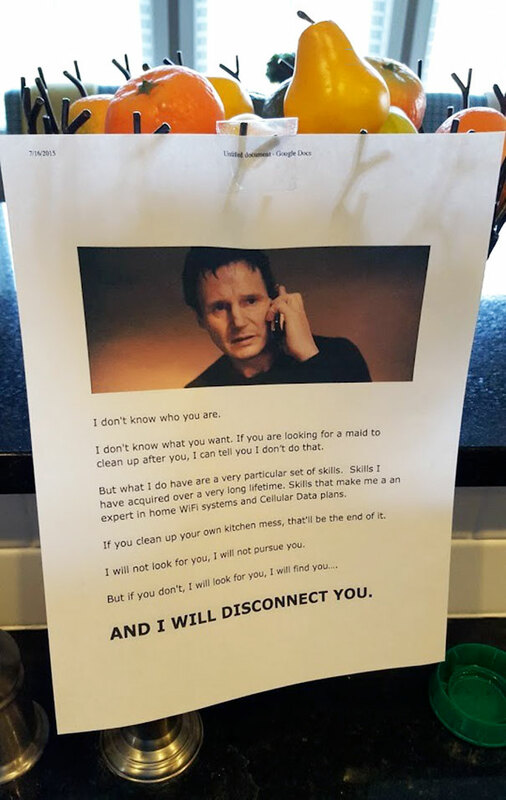 For those of you who’ve watched the movie Taken, you’ll know how threatening this note is! Nothing could get a tween to behave quicker than the threat of being disconnected. 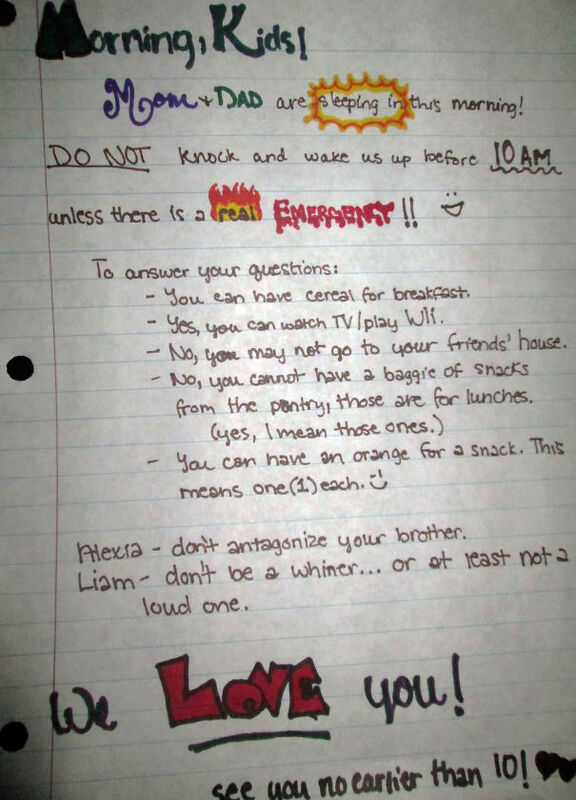 This mum posted on Reddit that her note really worked- and she slept in until 10.06 am! All hail the note. 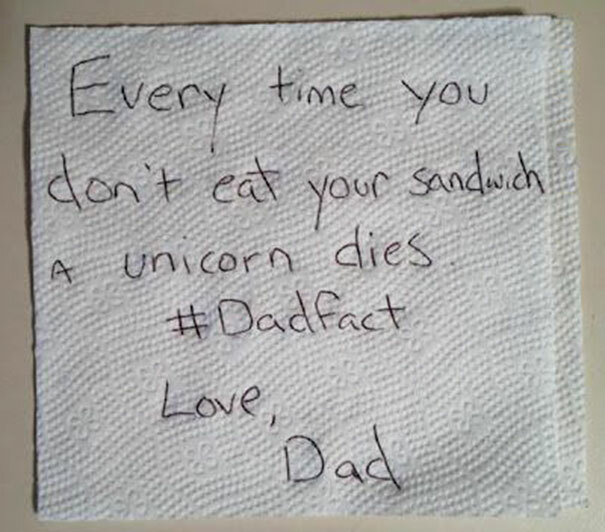 This #dadfact will have little girls all over Sydney eating every last bit of their lunch! 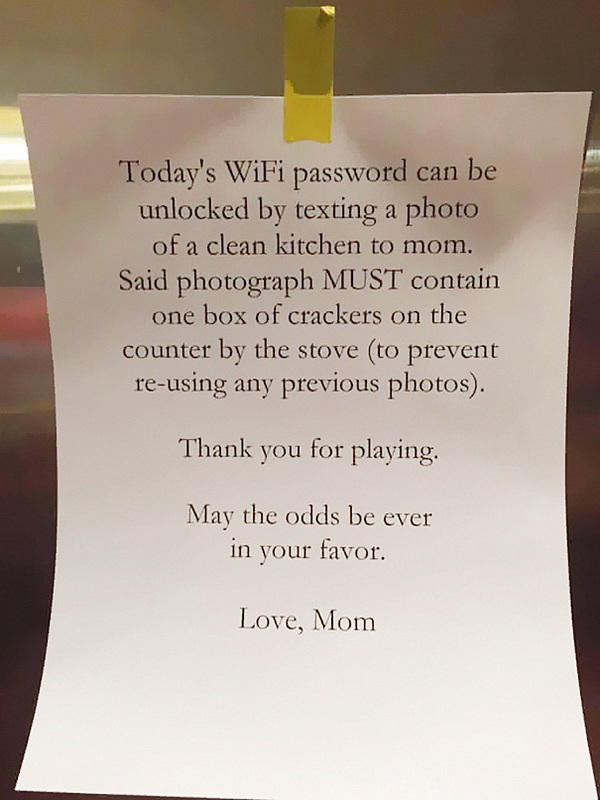 Parents that withold the Wifi Password truly are onto something. 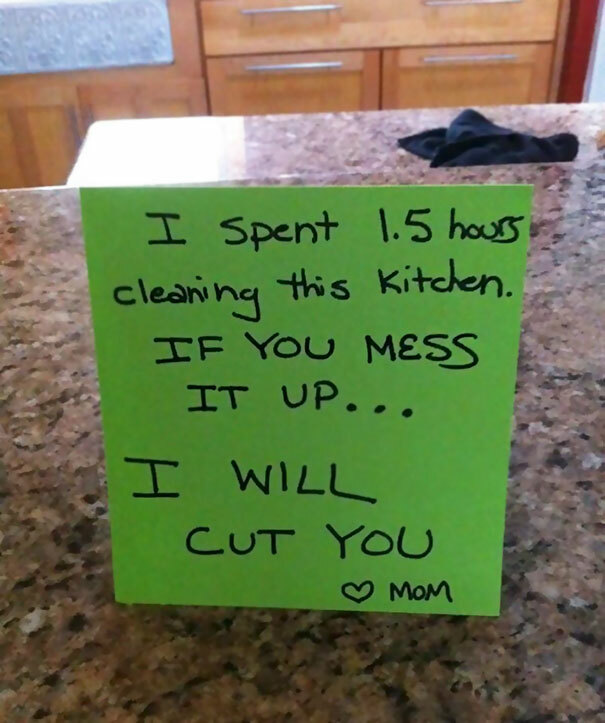 Maybe a note won’t be enough to manipulate all kids into doing chores….but a threat like this could at least stop them from making more mess! 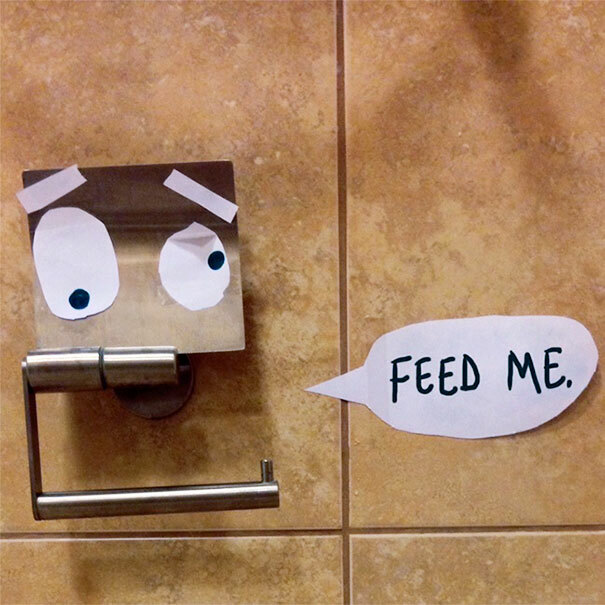 Sometimes you have to use notes to be super clear about what you need done. 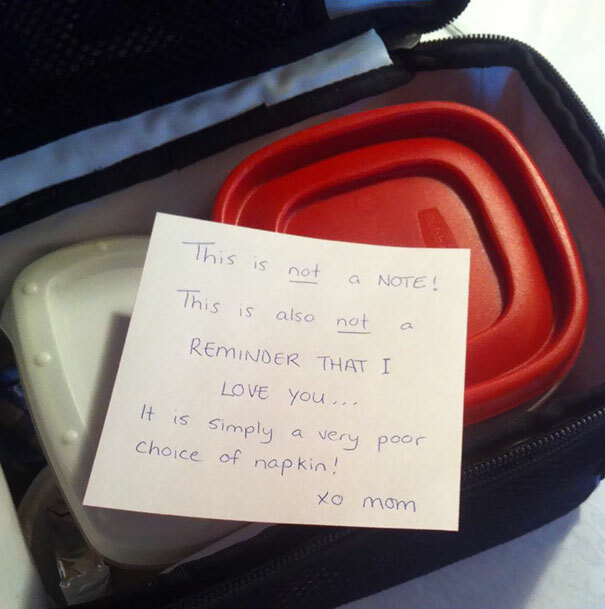 When one mother’s child told her she was too old for notes in her lunch box, she responded by sending a ‘napkin’.